Bali is one of the most popular travel destinations in both Indonesia and Southeast Asia. 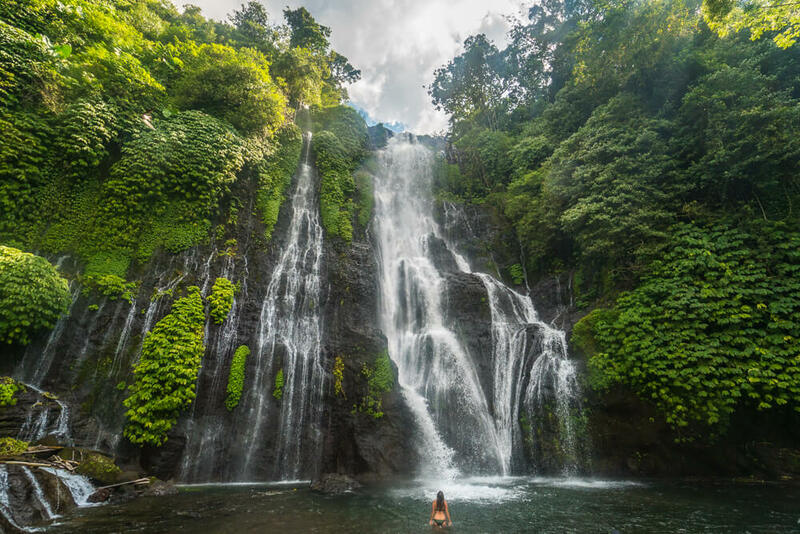 The Indonesian island is home to stunning waterfalls, beautiful temples, lush jungle and much more. After you book your flights and decide on your itinerary, you’ll need to start thinking about what to pack for your trip to Bali. We spent around 2 months travelling the island in 2018, learning for ourselves exactly what you need to bring to turn a good trip into an amazing one! This packing list covers the travel essentials you need for Bali, saving you the time and effort of putting together a checklist for yourself. Better yet, this list covers everything you need for a trip around the rest of Indonesia and Southeast Asia, from Komodo Island to Thailand. 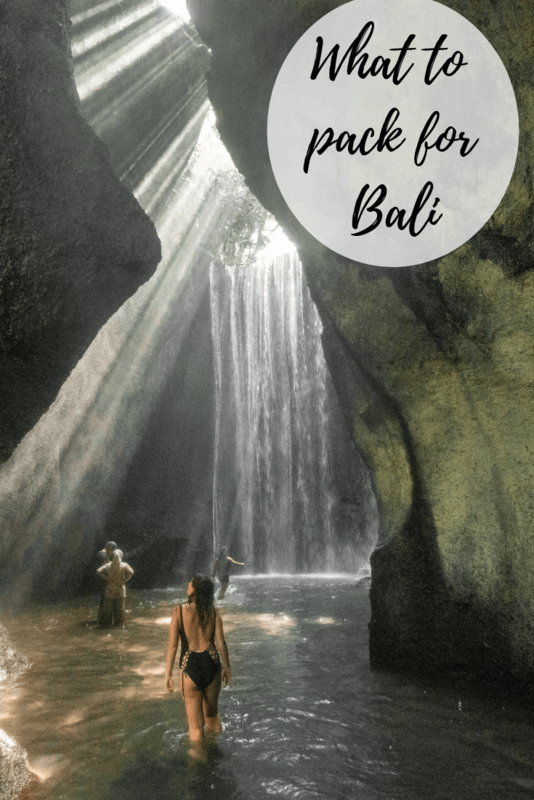 Just follow this packing guide and there won’t be any doubts in your mind about what you need to pack for a trip to Bali! Not figured our your exact travel plans yet? 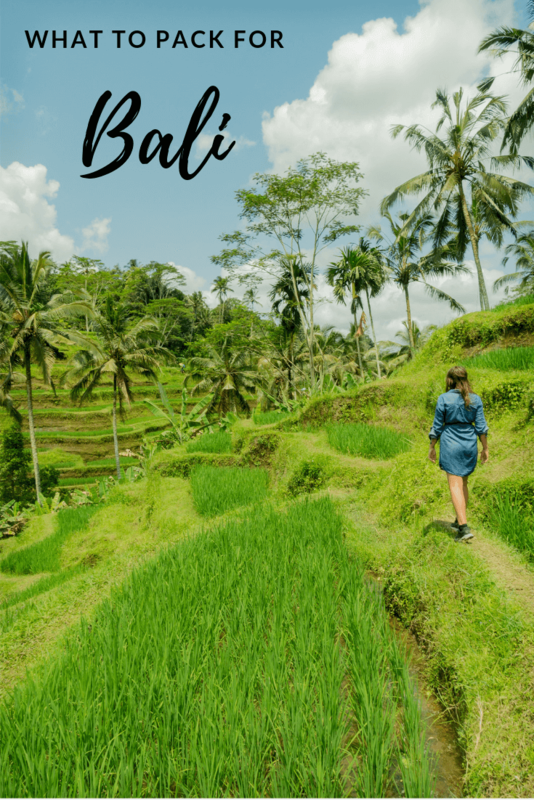 Click here to read our 2 week itinerary of Bali to find out the best things to do and spots you simply shouldn’t miss out! Snorkel – Discover some of Bali’s incredible marine life by packing a snorkel for your trip. 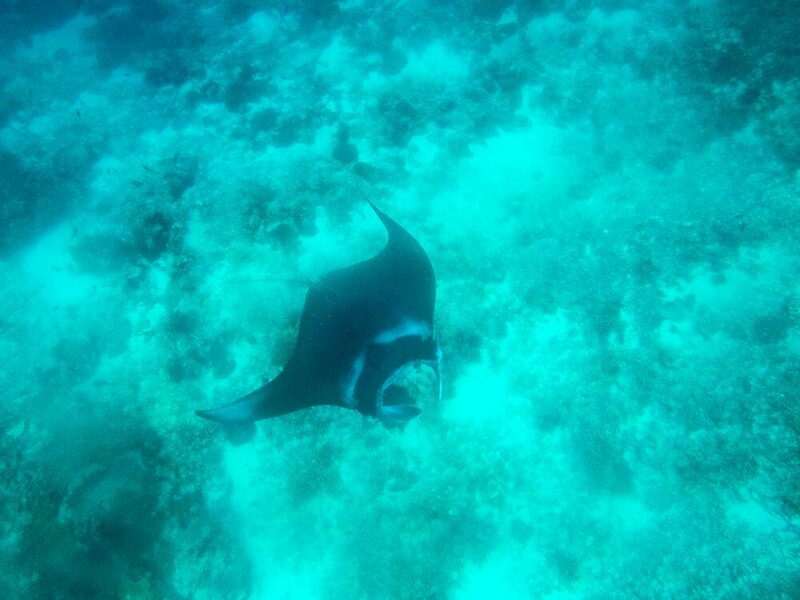 You’ll have the chance to swim with Manta Rays in Nusa Penida, turtles in the Gili Islands and much more! 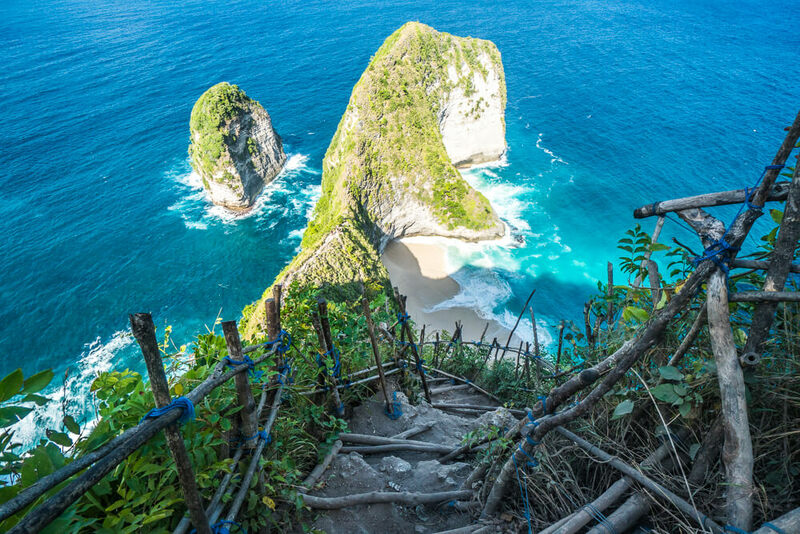 If you plan on visiting these spots and want to make the most of your stay then a snorkel is one of the best things to pack for Bali. GoPro – If you want to get some awesome underwater shots from snorkelling and diving trips then it’s definitely worth investing in a GoPro. These tiny cameras are incredibly convenient to travel with as they take up so little space and allow you to take photos underwater – and trust us, you’ll want to have pictures to savour if you see Manta Rays, turtles or some other amazing creatures underwater! Better yet, GoPro’s aren’t just underwater cameras so you’ll be able to get some brilliant shots throughout your trip to Bali. We recommend getting an extendable selfie stick as well as a good underwater casing if you’re going to be doing some deep dives on your trip! Click here to get a GoPro for your visit to Bali! Underwater phone case – If you’re looking to get some underwater pictures on a tight budget then get yourself an underwater phone case. These cases are great bits of travel gear as they keep your phone safe and allow you to get some great shots while snorkelling! Dry bag – One of the most useful things to have on your packing list for Bali is a dry bag. 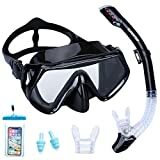 It’s extremely helpful for keeping your valuables dry during snorkelling/diving trips, visiting waterfalls or even just at the beach. Considering how useful they are, dry bags are relatively inexpensive so it’s well worth having one for your trip! Camera – Although most new smartphones have very good cameras nowadays, the quality still isn’t close to that from a proper camera. Not only is the image quality much better, but the range of shots and versatility just can’t be matched by a phone. If you’re hoping to have some amazing photos to help remember your trip then one of the best travel and packing tips is to invest in a good quality camera. Obviously, camera gear can range in price quite dramatically so what you can get will depend on your budget. If you’re looking for good quality at a very reasonable price, then we recommend the Canon EOS M100. It’s easy to use, takes great shots and is perfect for travelling as it doesn’t take up a lot of space.Obviously, camera gear can range in price quite dramatically so what you can get will depend on your budget. Fortunately the camera is such a good price that you should hopefully be able to afford a second lens as well! If you have the budget to spend a bit more, the Sony a6500 is a brilliant investment. When we upgraded to this camera we could instantly tell the difference in quality – so it’s well worth paying the extra for if you can afford it. If you’re buying the camera body then make sure to buy a lens or 2 to go with it! Drone – To get some truly breathtaking photos, consider adding a drone to your Bali travel list. Being able to see the beautiful beaches and Tegalalang rice terraces from above adds an extra thrill that you just can’t get without a drone! Good quality drones are surprisingly easy to use and will allow you to capture unique shots during your travels! If you’re serious about getting a drone, we recommend getting one made by DJI. 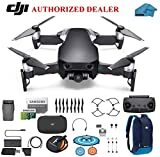 They make some of the best drones on the market, which are easy to use and capture incredible photographs and video. We have a DJI Mavic Pro and it’s perfect for travelling with as it’s lightweight and compact – meaning it easily fits in your hand luggage! 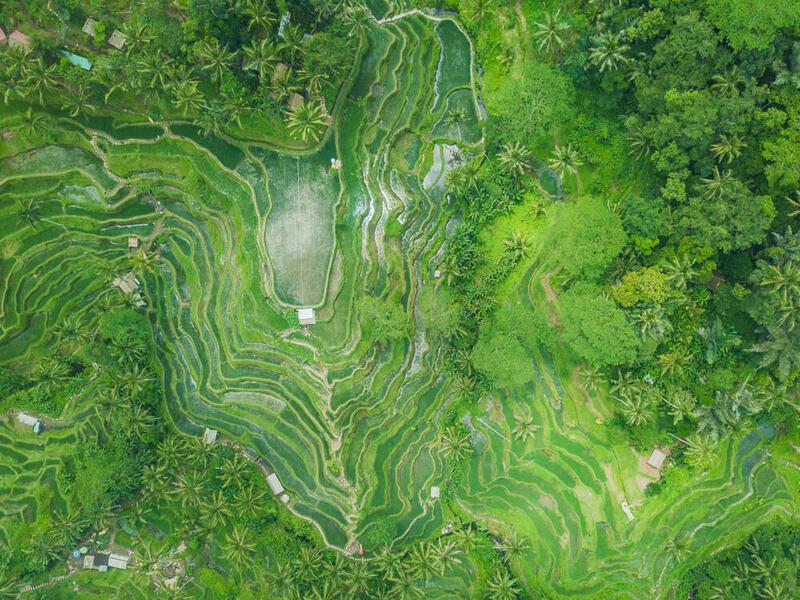 Our DJI Mavic Pro allowed us to get some incredible photos during our time in Bali, especially at the Tegalalang rice terraces. 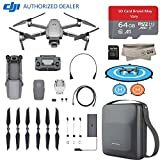 It’s always a good idea to get the latest model, so we recommend getting the newly released DJI Mavic 2 Pro if you want a drone for your trip! Click here to check out the DJI Mavic 2 Pro to capture incredible aerial shots of Bali! Extra memory card – Don’t get caught without enough space to take all the pictures you want on your trip! It’s easy to fill memory cards pretty quickly these days, so it’s worth having at least one back up. That way you can take as many pictures as you want without worrying about running out of space. 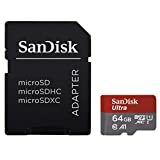 We used to have to constantly delete photos to free up space, but now have a 128GB memory card to stop that happening so much! Powerbank – You won’t have to worry about your phone running out of charge if you have a powerbank. 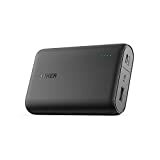 We got our first powerbank before our trip to Asia in 2017 and we wouldn’t travel without one again. They’re incredibly useful for making sure you don’t run out of battery on a day trip so that you can get all the pictures you want. Unless your phone battery is very strong, we suggest putting a powerbank near the top of your checklist of what to take to Bali. Refillable water bottle – Plastic waste has become a real issue – with reports that by 2050 there will be more plastic in the ocean than fish. 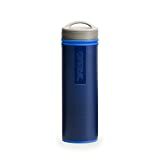 It’s easy to do your bit to combat unnecessary plastic usage by taking a refillable water bottle on your trip. If you opt for a bottle which includes a water filter you can end up saving a fair bit of money too. These bottles are specifically designed to remove 99.99% of bacteria, meaning that although the tap water isn’t normally safe to drink in Bali, you are able to drink it if you use the bottle to purify the water first. It’s a great way to save money and save the world at the same time! Torch – Although your phone probably has one on it, it’s worth packing a small torch for your trip. Some hotels and homestays in Bali are located on dark side streets, so a torch can be useful to help you see where you’re going. Using an actual torch instead of your phone helps to save battery too! Umbrella –Although you’re visiting Bali for the sun, it’s definitely worth taking an umbrella – particularly during rainy season. That way you can still head out for dinner even if the heavens have opened up! Travel insurance – Make sure you have travel insurance for your trip to Bali. Although it can seem expensive, it can end up saving you a lot of money as you’ll be covered in potentially costly scenarios. Without insurance we would have had to spend thousands of dollars on medical bills on previous trips – money which we just didn’t have at the time! It may seem like not getting insurance is a good way to save a bit of money, but if something goes wrong on your trip then you’ll almost certainly regret it. 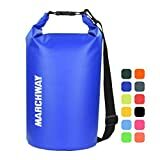 Bag/backpack – An essential item for any trip is a good backpack. In our opinion, backpacks are the best form of luggage for Bali. If you plan to visit the Gili or Nusa Islands during your time in Bali, then a backpack is much more convenient than a suitcase. It’s much easier to carry a backpack on and off the boats, particularly as it’s common to have to wade through water to get on/off. If you have a suitcase it can be a lot harder than simply having a backpack on your back, so we recommend making it easier for yourself and getting a backpack! 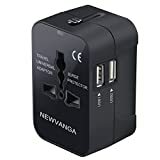 Adapter – A plug adapter is a travel essential, so we recommend getting a universal travel adapter for your trip to Bali. That way you’re not just covered for this trip, but future ones too! Extension lead – When we were travelling in Bali we often found that the accommodation only had one or two plug sockets in the rooms. This might be enough for some people, but if you want to charge laptops, phones, cameras etc all at once then it becomes a problem. The best solution is to take an extension lead with you, so that way you have plenty of sockets to use. Better still, you’ll only need to buy one adapter too! 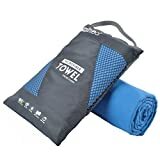 Microfibre towel – Microfibre towels are one of the best travel items. They dry much quicker than ordinary towels and take up a lot less space in your bag. Drying quickly is particularly useful if you plan on visiting multiple waterfalls in a day. We took a day trip from Lovina to visit Sekumpul waterfall, Banyumala twin waterfall and more, and having a microfibre towel meant it was dry every time we needed it. Click here to get a microfibre towel for your visit to Bali! Eye mask – Don’t rely on your accommodation having curtains that keep the room dark after sunrise, especially if you’re staying in budget places. To make sure it isn’t an issue, we recommend packing an eye mask. That way if you want a lie in you won’t be woken up at the crack of dawn. Sun cream – Pretty self-explanatory really, but one of the must have items on your packing list for Bali is sun cream. It isn’t as cheap as you might hope once you’re in the country, so you’re best off buying at least some in advance! Aftersun – Much like sun cream, aftersun isn’t that cheap in Bali so we’d recommend buying some in advance. If you order it from Amazon it can often work out cheaper than buying at a shop or pharmacy in person! Reef friendly sun cream – If you’re planning on going snorkelling or diving in Bali, we strongly recommend getting some reef friendly sun cream. Normal sun cream is damaging to the environment and reefs if it gets in the water. Although reef friendly sun cream is more expensive, you’re helping do your bit for the environment and protecting the underwater world for others to enjoy! Mosquito repellent – As you’d probably expect, mosquito repellent is one of the travel essentials for Bali. It’s important to make sure you have enough to stay protected throughout your trip to avoid catching mosquito-borne diseases. Mosquito bite cream – Unfortunately, you may still get bitten by mosquitos even if you use repellent. It’s important to pack some mosquito bite relief cream in case this happens to you. The bites can be extremely itchy, but generally these creams should reduce the itchiness. That’s why mosquito bite cream is one thing you simply must bring to Bali! Toiletries and Medicine – It’s well worth planning ahead and packing toiletries and medication to take to Bali. While bigger places like Ubud will have plenty of pharmacies if you need something, it’s hard to find medication in small villages like Munduk. We recommend buying what you need before your trip – that way you have whatever you need even if there’s no pharmacy nearby or if the pharmacy is closed. If you’re wondering exactly what medicine to take to Bali, we recommend packing some painkillers, immodium (just in case! ), dramamine (motion sickness tablets), wet wipes, plasters, shampoo, toothpaste and a hairdryer if necessary. For women it’s worth packing tampons too as they can be quite expensive in Bali! Depending on how long it’s been since you’ve visited a hot country, you may need to stock up on a new set of clothes. It’s hard to say exactly what clothes to pack for Bali, but ideally you’ll need plenty of singlets, shorts and some swim shorts if you’re a guy, or dresses, shorts and bikinis if you’re a girl. You may also want to get flip flops, a hat to protect you from the sun and a rain jacket just in case! Sunglasses – It’s always worth having a pair of sunglasses for a visit to Bali. If you’re looking to grab a bargain, we recommend buying them from Zaful. They have a great selection of sunglasses at good prices – so it’s easy to bag yourself a bargain! Trainers – One thing not to miss off your packing list for Bali is a comfortable pair of trainers. If you’re planning on exploring and getting a bit off the beaten path, then you’ll want a good pair of trainers to see you through. We both wear Nike Air Max’s as they’re extremely comfortable as well as being great shoes for hiking and walking long distances in! Having a comfortable pair of shoes is essential if you’re planning to climb Mount Batur or hike the Munduk waterfall trek. Water shoes – If you want to protect your feet when venturing into the sea or visiting waterfalls then water shoes will do exactly that. They have grip on the soles, as well as protecting your feet from any sharp objects underwater! If you’re planning to visit Tukad Cepung waterfall, water shoes will prove very useful as you wade along the river! Cloud Storage – If you’re planning to take lots of photos on your trip to Bali, it might be worth investing in cloud storage. That way you can upload photos throughout your trip, meaning it won’t take up loads of space on your laptop or memory cards. It’s also way more convenient than having an external hard drive as that takes up space in your bag! We recommend using pCloud for cloud storage. You can either pay monthly or pay a one off fee for lifetime cloud storage. Our cloud storage with pCloud has been incredible useful to us and stops us running out of space on our laptops every few days! Other electronics – We packed plenty of electronics for our trip to Bali, but generally what you need is dependent on what you actually want. You may want to pack any number of the following: laptop, tablet, phone, kindle, headphones, chargers and whatever else you can think of! Playing cards – Playing cards are great if you want a chilled out night or a way to pass the time while waiting at the airport. Card games are a great way to meet people in hostels too, so are still a great thing to take even if you’re backpacking solo in Bali. 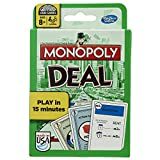 There are countless different cards to choose from but we recommend a pack of standard playing cards and Monopoly Deal – a quick card game version of Monopoly which is great fun! Travel pillow – If you have the space in your hand luggage, we fully recommend taking a travel pillow. 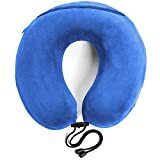 They provide a lot more comfort on long plane journeys than the free pillows provided, and can also be used on any shuttle bus journeys you have too. As they’re relatively inexpensive, it’s well worth the money to get a much better rest on your travels! Click here to get a travel pillow and stay comfortable on your adventure around Bali! 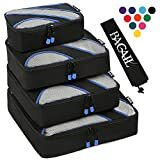 Packing Cubes – If you plan on moving around and seeing different places in Bali you’ll be doing a lot of packing and unpacking of your stuff. It’s a lot easier to pack and keep stuff organised if you use packing cubes. With packing cubes you’re able to keep things in separate sections within your case, making it easier to access what you need when you need it. That way you don’t have to empty out your whole case only to have to repack it a few days later! Heading to Bali soon? 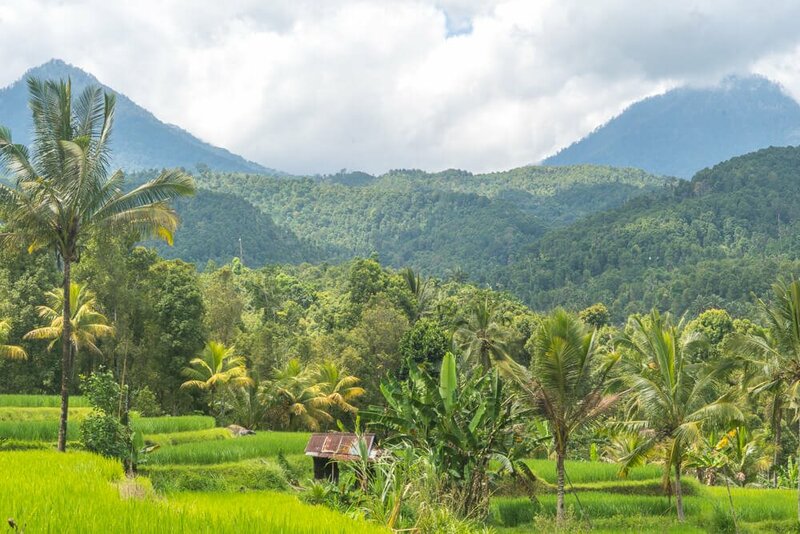 Make sure to check out our top tips for travelling Bali before you set off on your trip! Like this guide of what to pack for Bali? Pin it!